Experience the North Shore Town of Winnetka This Weekend! Chicago’s North Shore is a great place to call “home” for a wide variety of reasons. If you currently live in Northbrook, Winnetka, Highland Park, Glencoe, Deerfield or any of the other North Shore cities, you know that the excellent quality of life, stunning North Shore homes, top notch schools and vibrant communities are just a few reasons many want to settle in permanently to this ideal location. If you’re considering moving to the North Shore this year, figuring out which community best suits your needs and lifestyle is important. Of course, the commute to a job or schools can be a main priority, but each city has a unique atmosphere and you’ll want to discover the area that feels most like home. Today I wanted to take a few moments to highlight the North Shore town of Winnetka. This charming region dates back to 1836 when the first homes were built in the area and was officially incorporated in 1869 with a population of 450. Rich in history, Winnetka sits today as one of the wealthiest and most exclusive suburbs in the nation. And, even though it made the list of America’s Top Earning Towns, there’s a strong community oriented culture in Winnekta that provides a comfortable atmosphere and a sense of belonging. Whether you live in Winnetka or want to get a better feel for what this North Shore town has to offer, you may want to take advantage of a few events taking place this weekend! 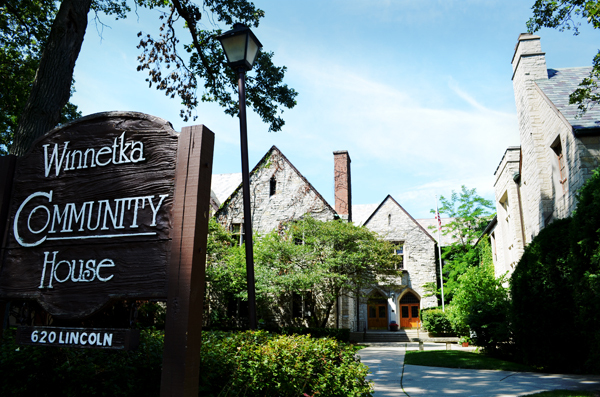 A great asset to Winnetka is the Winnetka Community House which serves the community with a wide variety of programs, performing arts and much more. Take a look at a what’s going on at the WCH this weekend! - The Winnetka Community House is celebrating its’ 100th year! Join in the fun this Friday evening which features Homemade Pizza Company pizza, Finch’s Beer, wine and live music from Molly’s Suite 7. The house party is sponsored by The Private Bank with all proceeds going to benefit the Winnetka Community House. You can learn more about this community favorite by visiting the Winnetka Community House website. - Part of the Winnetka Theatre’s “Just For Kids” series, this rendition of Rapunzel is written by two of the creators of the hit TV show Friends, and is an interactive production kids are sure to love! Enjoy an afternoon out at the Winnekta Community House by seeing this unique twist on a classic tale. I hope you’re able to take part in one, or both, of these events this weekend in Winnetka. If not, be sure to take the time to discover this town on your own! There’s a wide variety of restaurants, events and things to do that will allow you to get a better feel for this community’s lifestyle. As always, if you’re interested in buying a home in Winnetka, feel free to contact me today! I’d enjoy showing you around the area as well as some of the beautiful homes currently available in Winnetka. Highland Park Active Listings: There are a total of 299 properties actively on the market with the average price of $850,904 in Highland Park. Highland Park Sold Listings: 21 properties closed last month in Highland Park with an average sales price of $713,629, the average time on market for these properties was 151 days. Winnetka Active Listings: There are a total of 120 properties actively on the market with the average price of $1,851,737 in Winnetka. Winnetka Sold Listings: 16 properties closed last month in Winnetka with an average sales price of $823,568, the average time on market for these properties was 103 days. New Year, New Buyers for Chicago North Shore Homes! Let's start off the New Year with a bit of good news! The Pending Home Sale Index for November 2011 increased by 7.3%, reaching a level of 100.1 This is the highest point the Index has reached in 19 months. The Pending Home Sale Index is based on national contract activity, namely accepted purchase offers. The Index includes new contract activity, as well as second-round attempts from previously canceled deals. 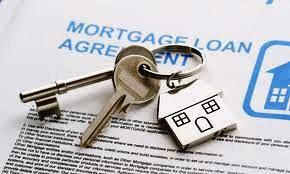 Contract failures can occur when buyers have problems with final mortgage approval, or the appraisal comes up short. Nationwide, it appears that more buyers are returning to the deal after an initial setback, rather than abandoning the purchase. This is good news for the market as a whole. In fact, home buyer sentiment is overwhelmingly positive, according to a study released last month by the Mortgage Bankers Association. The survey found that 80% of Americans believe that now is a good time to buy a home, despite concerns with the economy. It also showed that younger, well-educated buyers are the most encouraged by low mortgage interest rates and affordable home prices. Combine these trends with the fact that Chicago is the most-searched real estate market online, and you can't help but feel optimism for the North Shore real estate market. 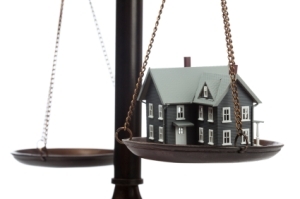 Home sellers in the Chicago North Shore area will continue to have competition from distressed properties, and it could be many months before we see a more balanced market. That said, there are opportunities in North Shore real estate today that may not be here a year from now. This is why having professional expertise on your side is so important! Market conditions and economies change; cycles come and go. As your North Shore Real Estate agent, I have the experience you can trust. No matter the market conditions, I can help you buy or sell a home in Deerfield, Glencoe, Highland Park, Northbrook or Winnetka. Contact me for reliable North Shore market expertise.